Every time a new youngster arrives in the world, it's a cause for celebration, but one remarkable mother cow has quadrupled the reason to be proud. 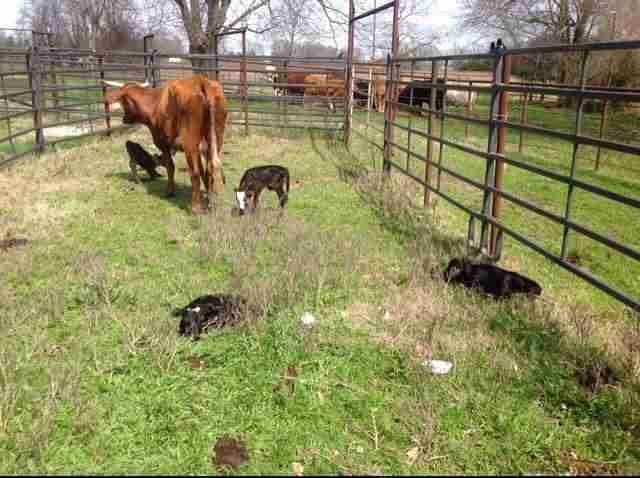 On Monday, the red-haired heifer was found to have given birth to not one, not two, but four (!) 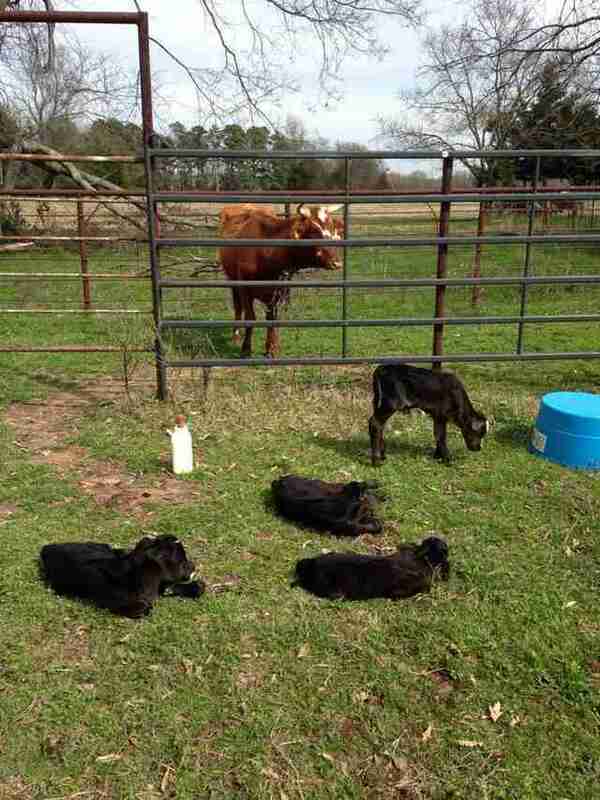 healthy little calves on a small farm in Dekalb, Texas. Not surprisingly, her very special delivery has become the talk of the town. 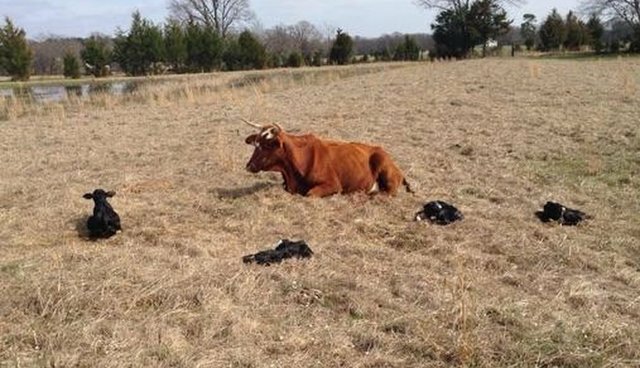 Among those teeming with enthusiasm about the rare birth is the cow's veterinarian, Dr. Michael Baird. "It's truly, truly exciting to me. One of the most exciting things I've gotten to witness in my career," he told The Dodo. "I don't think I'll ever see this again. The odds of us seeing this are phenomenal." And "phenomenal" might even be something of an understatement. According to Baird's sources, the odds of a cow delivering four live calves is a whopping 1 in 11.2 million. Fortunately, all four of the calves are said to be healthy, albeit quite a bit smaller than the typical bovine newborn, but they should be growing fast. The animals' owners, a retired couple who keep only around 20 cows as a hobby, have been helping mom with nursing duties by bottle-feeding her babies. "She's very gentle with them, just moving around calmly," said Baird. "She's a little exhausted - she did just have four babies. But they're very well taken care of, almost pets. They'll have a good life." 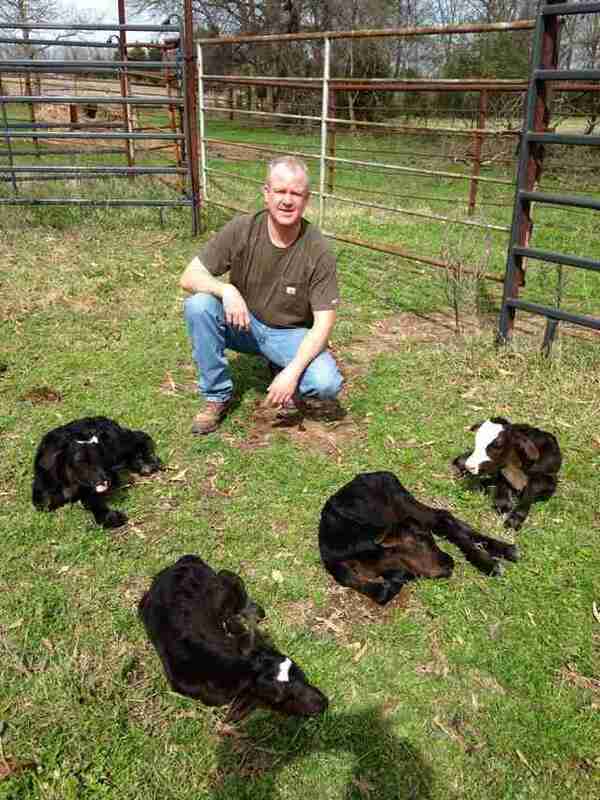 Baird, who runs a clinic down the road from where the calves were born, admits that, despite having delivered countless calves, including the occasional set of twins, he couldn't help but be moved seeing these four beautiful babies. "We just looked at them and oohed and awed," he said. "It's just such a rare event."